It seems Microsoft is stepping on the same road as Samsung; releasing new phones almost every month. To keep up in this competitive race, new announcements is required. Microsoft Lumia 540, has made important improvements in the design sector especially offering a sturdy back cover. This time, customers would be able to choose between matte finish (available only in black) or a glassy finish (available in white, orange and blue). 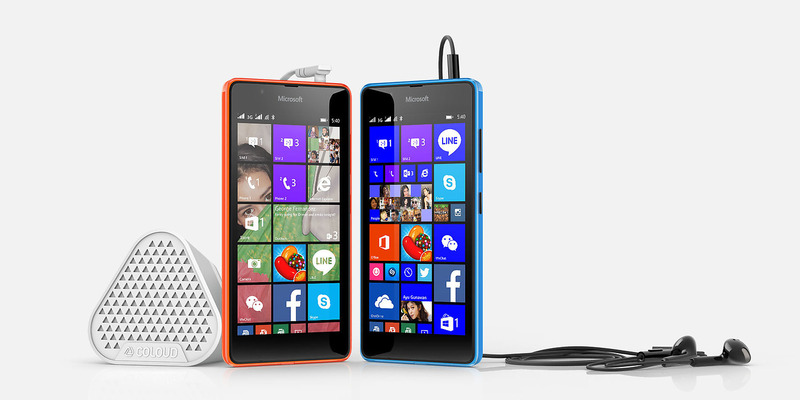 Other than these, the design of the Lumia 540 pretty much retains the similar design language of the Lumia devices. 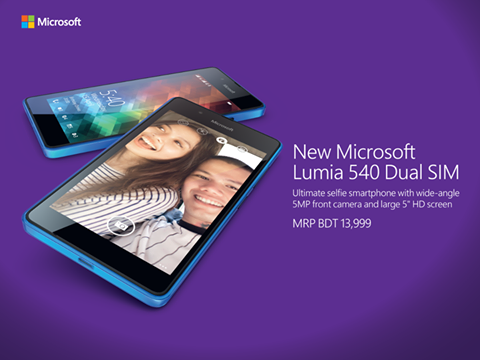 As for the display, Lumia 540 features a 5-inch IPS screen with a resolution of 1280 x 720 (294ppi). For the 5xx series, the 540 is currently the best in display-wise. Downside of the display is that it has no protection, meaning no Corning Gorilla Glass protection. The device is armed with a 1.2GHz quad core Qualcomm Snapdragon 200 SoC, 1GB OF RAM and 8GB of internal storage which is expandable to 128GB via a MicroSD card. The CPU is the same as found in Lumia 530 and 535. Apps such as Skype and Office will come pre-installed which would be very suitable for multimedia communication and productivity. Best part, users will also be getting 30GB of free cloud storage. Lumia 540 sports a 8 megapixel rear camera (with LED Flash) and with a 5 megapixel front-facing camera which is a good addition for the selfie enthusiasts.The device will be powered by a 2,220 mAh battery which would roughly stay for the full day unless used heavily. As Lumia 540 is Dual SIM smartphone, it will be supporting both 2G and 3G networks. Let us know you thoughts on the newly announced device!